Straight from Taipei comes this Sporter from Rough Crafts. Many folks would be surprised to hear that the Harley-Davidson scene extends far beyond U.S. roads. Some people are aware of the European HD following and some of their yearly events such as the Faaker See rally in September. Most of us, however, would be very surprised to hear that Australia, India, and even Japan are big-time players in the custom world. 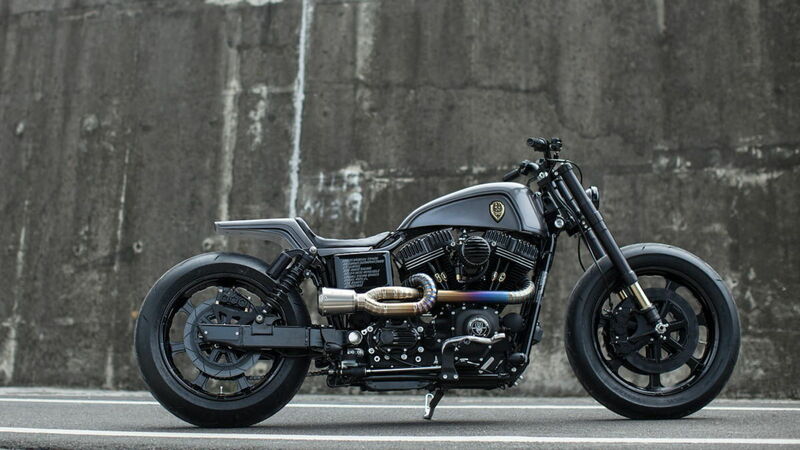 Out of Taipei comes "Guerrilla" - a custom Sportster with attitude and all the custom flare of any American custom build. 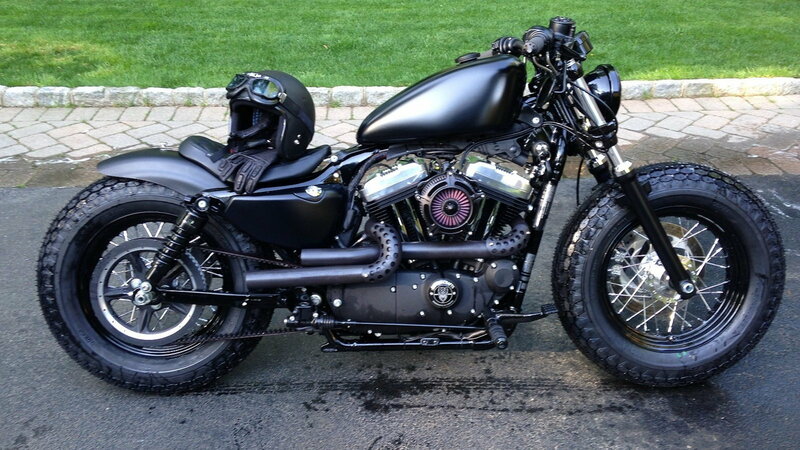 >>Join the conversation about this Rough Crafts Guerrilla Sportster right here at HDForums.com! Creating a true custom bike that is both, functional and unique, takes vision and the perspective that can only come from someone who loves what they do. The custom "Guerrilla" is a practical design that adheres to strict local regulations governing motorcycles over 250cc. The bike sticks to emission and safety standards that allow it to pass the annual licensing requirement by the Taiwanese government. Guerilla is a true custom in many ways. 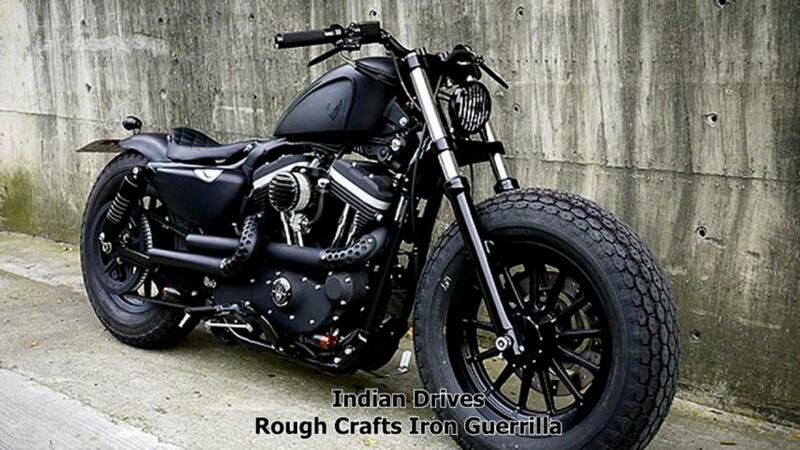 Unlike many customs out there this sporty sports original creations from Rough Crafts. 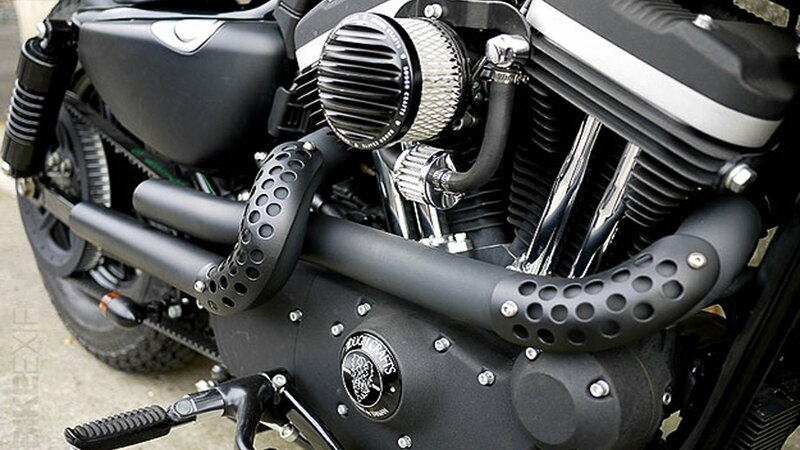 The bike is not a bolt-on custom, most of its components such as the gas tank, handlebars, air cleaners, exhaust, fenders, lights, gas cap, risers, grips, and much more are created in-house. The real beauty of this bike comes from its simplicity. Although it is a true custom the bike presents an elegant but commanding appearance. 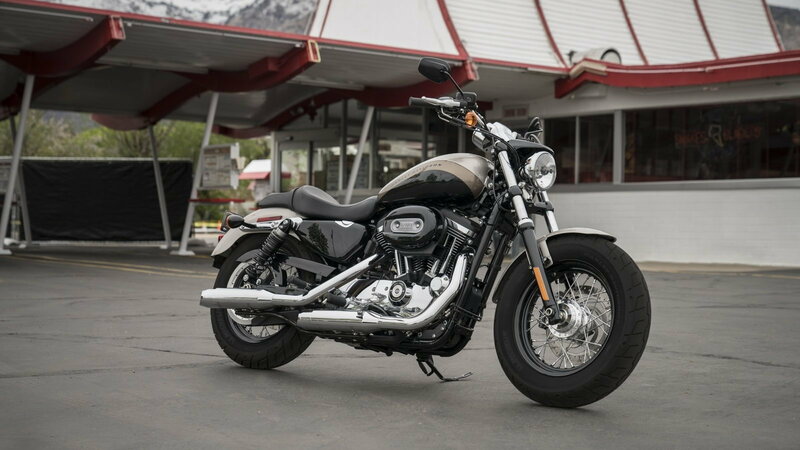 Its muscular pose embodies the American iron spirit and the origins of the Sportster as the first "racing bike". Rough Crafts ensured that from a distance the bike appears to be stock, however up close you can really appreciate the custom design and original parts. Sometimes, an understated build is exactly what you need to stand out. This same approach is used in most, if not all of Rough Crafts' bikes. The unique design, clean lines, and functional aspect that these bikes present have placed Rough Craft on the world stage. 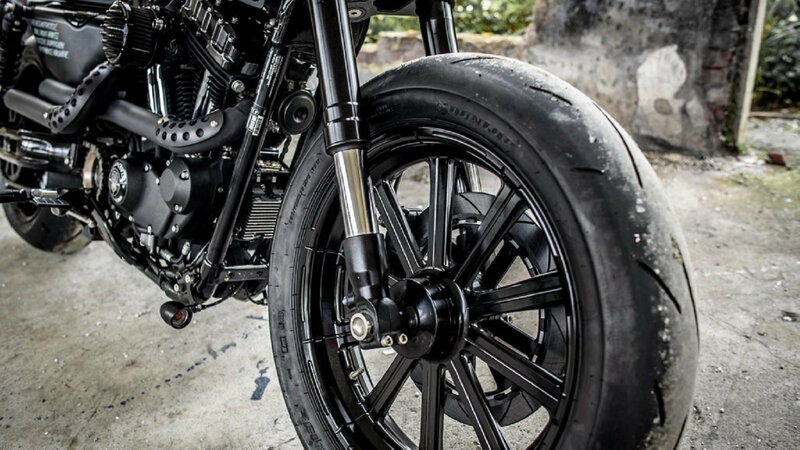 Not relegating themselves to only customizing Sportsters, the company focuses on building motorcycles to be ridden but that show as well as any custom. Although people who typically dish out over $30K for a custom bike tends to show these bikes more than ride them, these bikes beg to be ridden and are built for that purpose.